Embroidery in latin and Korean TAEKWONDO in the back of the suit. 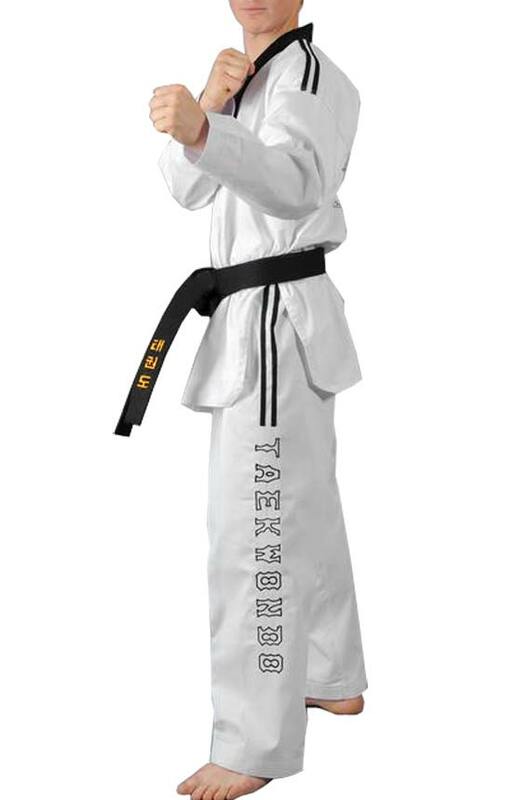 Taekwondo black collar uniform for teachers and black belts, Korean Model sewing, WTF jacket . 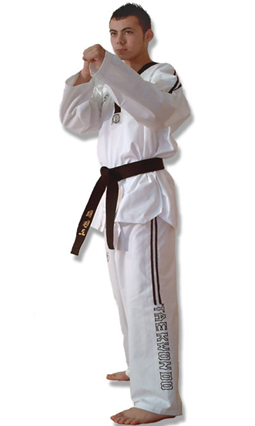 High-quality dobok, adapted to training and competition. Cut long and loose, trousers with elastic waist, narrowing down and high quality sewing at the bottom of the sleeves and legs. Material light and mild, antiperspirant, 45% cotton and 55% polyester, ribbed fabric. DOUBLE Y logo woven in different locations on the right of the jacket and pants. 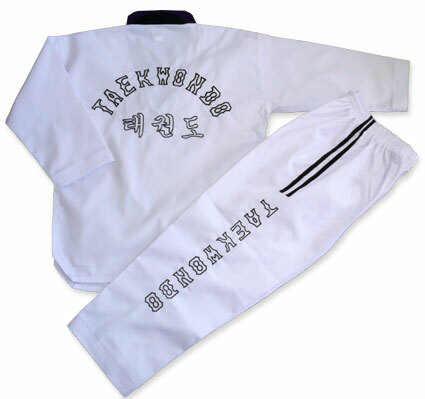 Embroidery in latin and Korean TAEKWONDO back the jacket and the bottom of the pants.